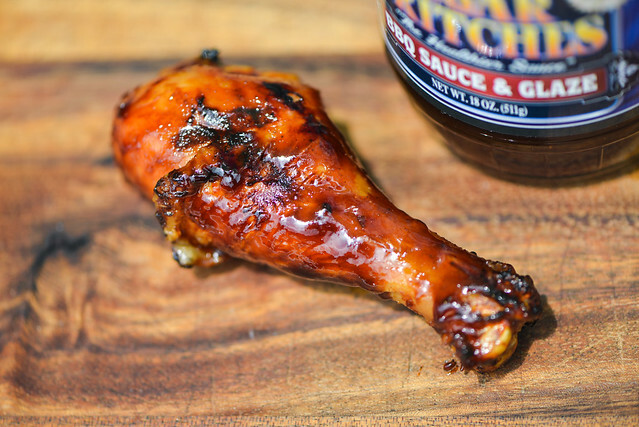 Using molasses to a fault, Sugar Britches comes off as one-note and is missing the other layers of barbecue sauce flavor needed to add depth and balance out the heavy hand of molasses. This sauce was sent to me by Andrew and Julie Jenks of the Jenks Speciality Foods company based out of Rancho Cucamonga, CA. 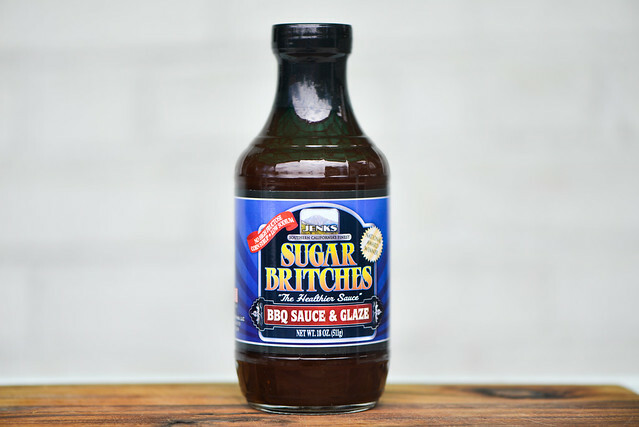 Sugar Britches is the company's sole product available online at the time, and is a barbecue sauce marketed as "The Healthier Choice" because it's fat free, has low sodium, and forgoes the high fructose corn syrup. Over the past few years, Sugar Britches has garnered some awards from NBBQN. Molasses defines this sauce from first sniff—you don't need to get too close to smell the deep, slightly sweet aroma of molasses here. 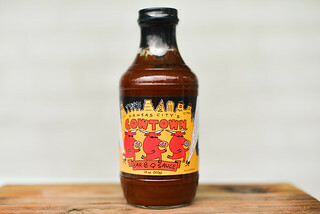 Taking in a deeper whiff, there's a tomato element sitting just behind the molasses, and a vinegar tang that ties it all together. Besides a faint onion, there isn't too much else going on in the aroma department, not many spices or heat to be found here. This shiny and smooth sauce is broken up by large chunks of onion found throughout. It can be hard to make out any spices through its dark brown hue, but in the light, specs of pepper and other spices can be seen. It has a medium-thin thickness and flows quickly from a suspended spoon in a steady, even stream that becomes chunky each time a piece of onion falls. The coating left clinging to the spoon is very thin, and here you can see more dots of the spices that make up this sauce. The sauce tastes like watered down molasses. It isn't a wholly pleasant flavor as it relies heavily on the powerful molasses without enough other sugar or other ingredients to balance it out. The molasses quickly mixes with a vinegar tartness that is at the same time light, but harsh. The sauce then turns a bit bitter, making that the final flavor left lingering on the tongue. 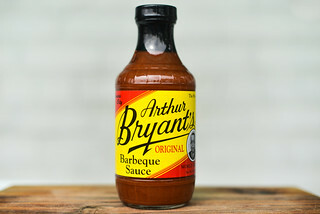 Besides some onion and slight spice, there's not much else going on with this sauce beyond molasses and vinegar. The thin sauce only coated the chicken lightly, but did bake down well and developed spots of nice caramelization over direct heat. Unfortunately the flames didn't do much for the flavor as it further tipped to one-note territory with the vinegar moving more into the background and the molasses becoming almost all I got. The molasses flavor was mellowed though, making it more pleasing after being cooked, but it was still kind of plain and unexciting. 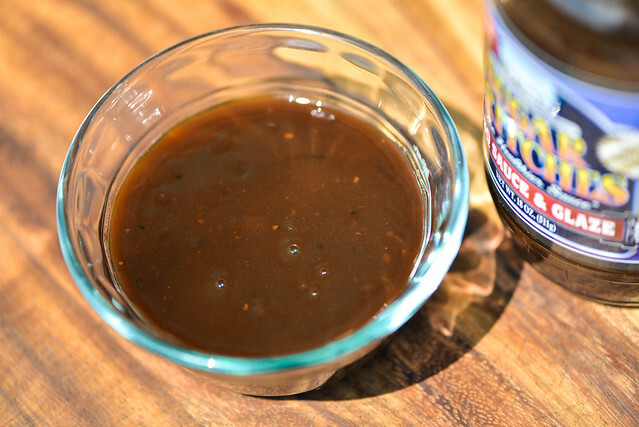 Molasses adds great depth to barbecue sauces, but it also can easily overpower. Molasses's flavor on its own it's necessarily the greatest thing, and relying too heavily on it is Sugar Britches' downfall. There may be more going on in this sauce, but there's so much molasses that it dominates almost all else except a vinegar tartness that's a bit too sharp. 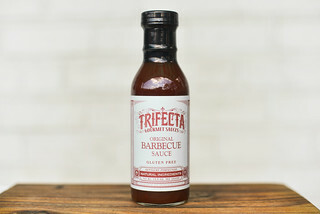 It's definitely not one of the worst sauces I've had, but isn't one I'd recommend searching out because it won't do your barbecue the justice it deserves. Too bad about the sauce. You had a couple of real nice ones recently. I was hoping you were on a winning streak!